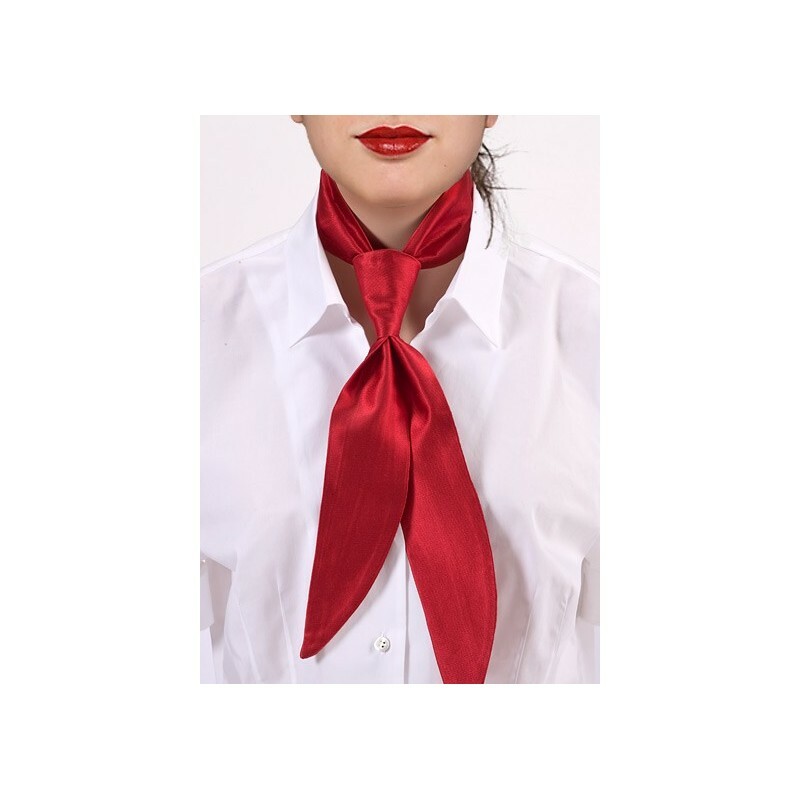 This neckerchief is especially made for women. It is an exact match to our Solid Red Mens Tie. It is just like the matching necktie made from 100% silk. It is soft to the touch, comfortable to wear, and instantly will add fresh color to any outfit. 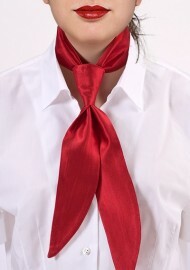 Most of our customers looking for matching male and female neckwear are in the service industry. Whether you are outfitting a small restaurant or need neckwear for the entire staff ofa cruise ship, we at Ties-Necktie will be able to help.